Small yet very mobile the Core offers numerous features. 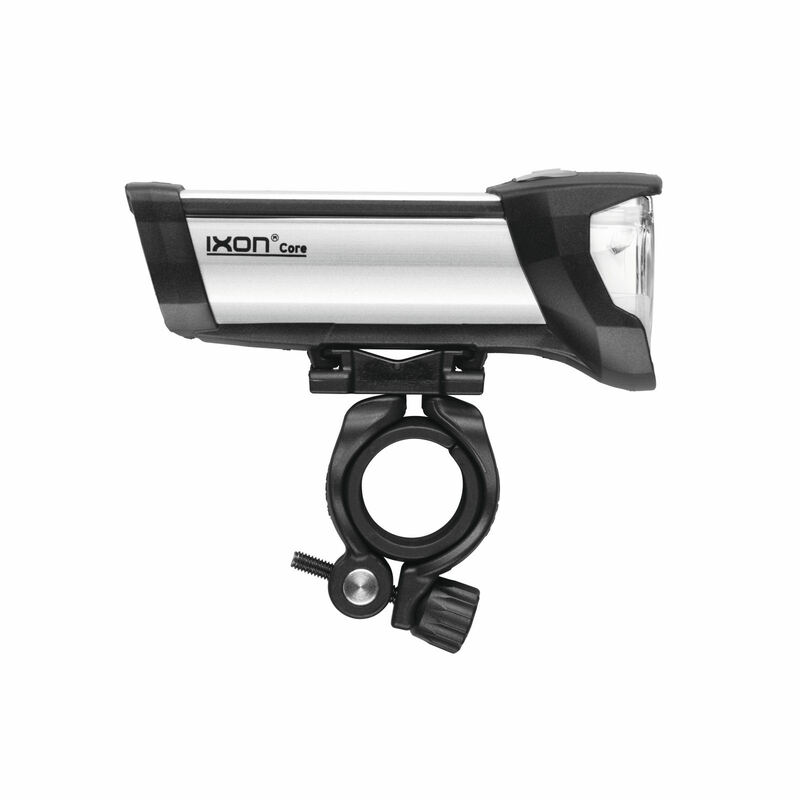 Incorporating IQ2 technology, light at close range and a fantastic quality and depth of light for road or track. 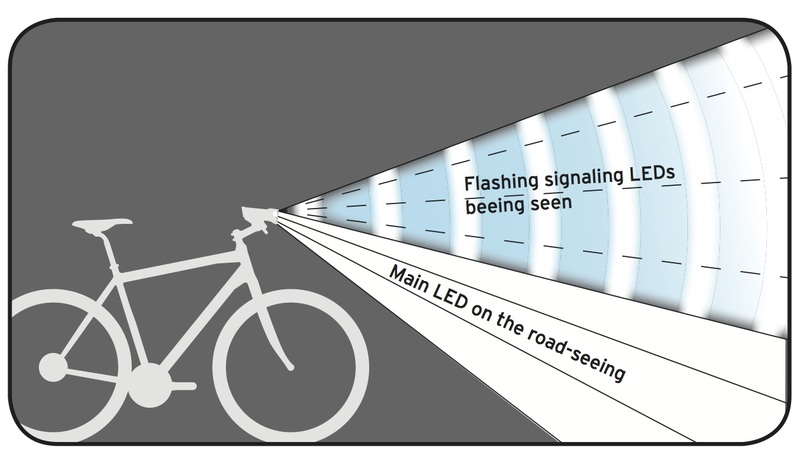 It also has additional flashing signalling LEDs to be seen with. 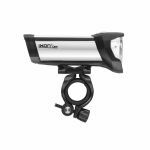 It is environmentally friendly and uses rechargeable batteries. 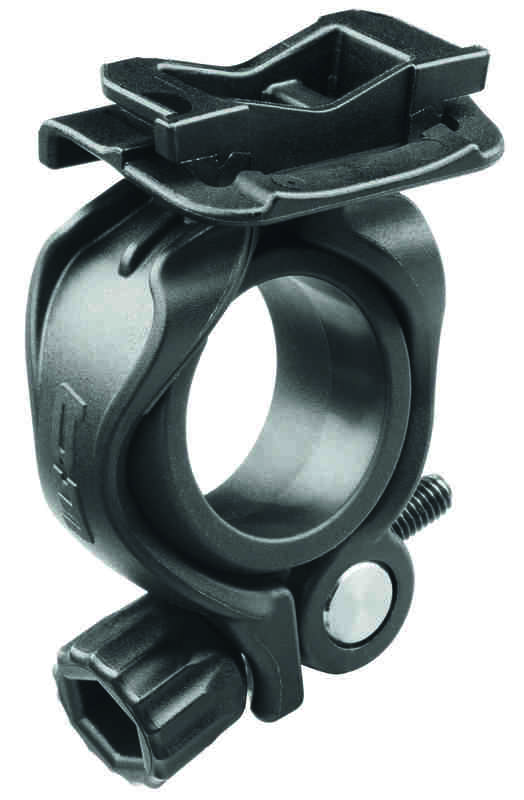 The Core utilises a radically designed special reflector with an integrated cooling system. 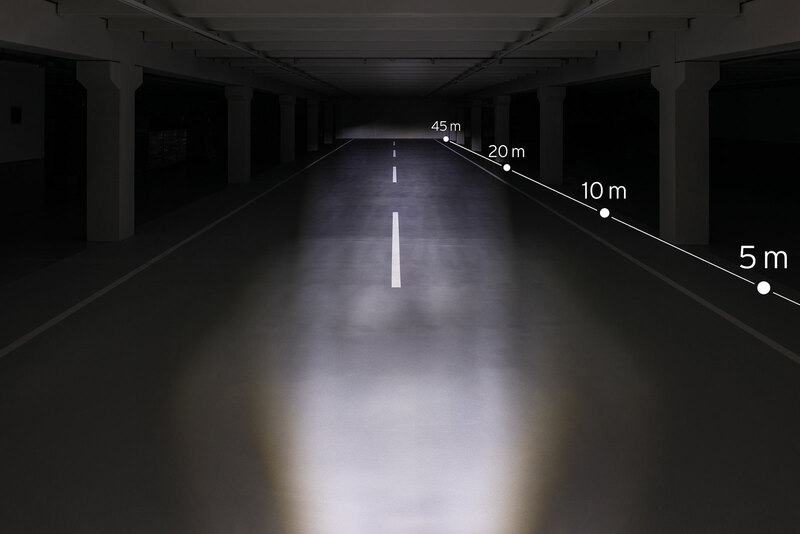 The white light comes from a high powered LED that is used as an indirect light source creating a uniformly illuminated output which is very bright, wide and homogeneous. Charging is via micro USB port with the cable and charger included. 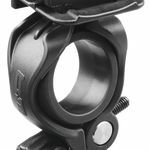 Supplied with a universal mounting bracket to fit all standard handlebars 25.4 - 31.8 mm, it is rotatable and traversal. It is easy to remove with one click. For a secure ride it is important to be able to see the road directly in front of the bicycle. Bumps or potholes in the road can be seen better if this area is lit and can be circumnavigated by short and intuitive steering. 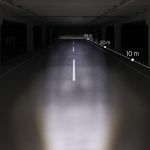 During darkness this is only possible if the area between one and four meters in front of the bicycle is lit brightly and homogeneously. Subjectively the need for light at close range is higher the slower one is riding, because one's balance can more easily be influenced by obstacles. 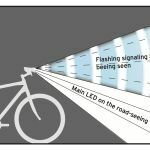 "With light at close range" means that the light field emitted by the B+M headlights starts directly one meter in front of the bicycle.